Ultra Finishing Group is one of the UK’s fastest growing suppliers of taps, and their Home of Ultra and Hudson Reed brands are becoming increasingly recognisable. Home of Ultra bath taps are amongst their most distinctive ranges – beautifully modern yet practical, feature packed and extremely affordable. 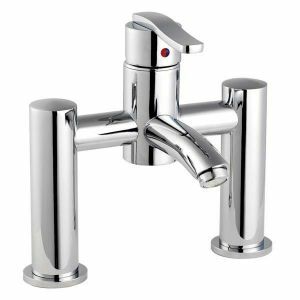 We stock Home of Ultra bath taps and Home of Ultra basin taps in both mono and mixer styles - the choice is tremendous. Why not choose a Rialto High Rise Mixer, for its tall, elegant grace, or a Rossi Bath Shower Mixer with an ergonomically designed hand-held showerhead? There are options available to suit all tastes and budgets. Take a look at our Home of Ultra bath taps and basin taps below; we know you won’t be disappointed.